Crows are said to be able to lead folks back and forth from the Monster World of Monstru, though with great cost. 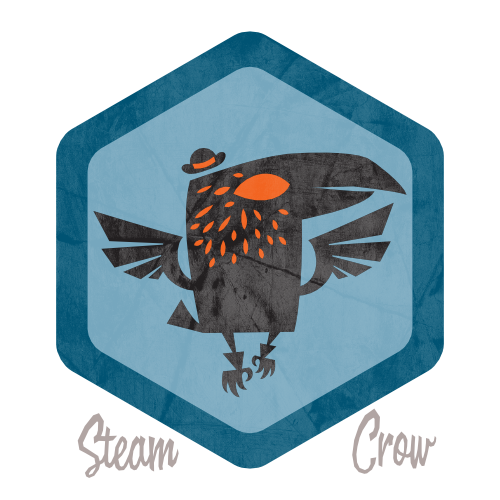 There is but 1 level of the Crow Guide Badge, though it doesn’t make it less powerful. Dawna is the current acting High Crow Guide. The Crow Guide Spirit Badge is worth 10 Glory points. A black feather certainly brings luck to Monster Rangers. Recite a Haiku to an attentive Crow or Raven. You don’t turn this in for credit; you simply log it into your Rangers Sketchbook.